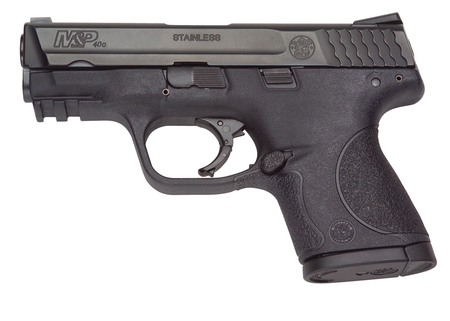 Model M&P Compacts Striker fire action. White Dot Dovetail front sight, steel low profile carry rear sight. Three interchangeable palmswell grip sizes. Polymer frame. Stainless steel barrel and slide. Black corrosion resistant slide finish.